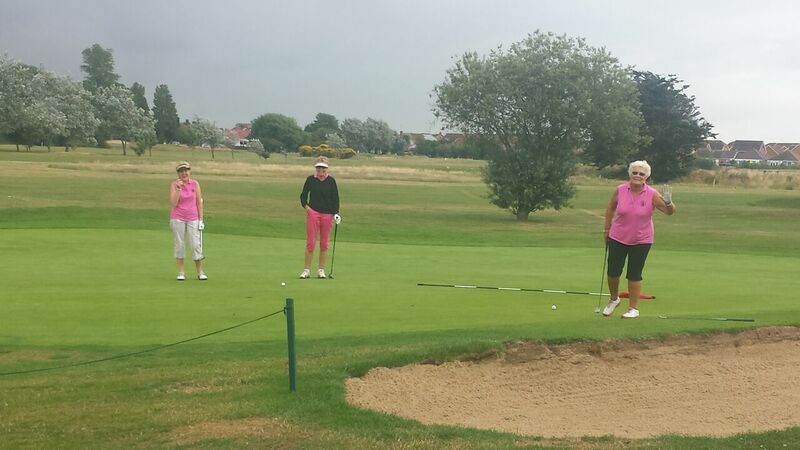 TSP Legal Cashier and Payroll Manager, Julia Hewett, became Lady Captain at Clacton Golf Club in November 2014. 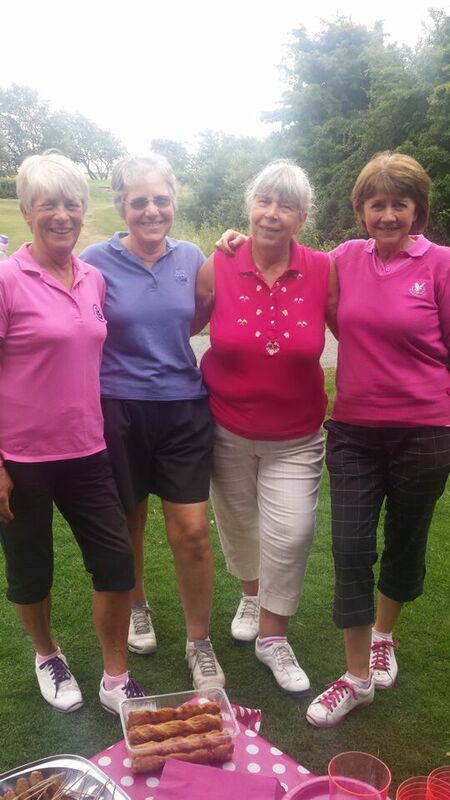 During her year in office the Lady Captain traditionally hosts a Lady Captain’s Charity Golf Day and Julia hosted hers on Tuesday 14th July. 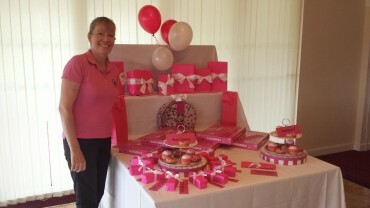 Thompson Smith and Puxon (TSP) was pleased to be involved in her day. 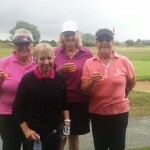 The day started bright and early with the lady golfers enjoying a cup of coffee and some Danish pastries (Julia had been setting up from 7am!) 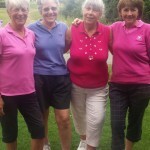 before collecting their water and pencils, donated by TSP, to tee off their game with a shotgun start at 10:30. 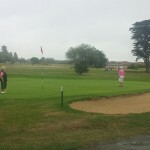 For the uninitiated a shotgun start means that all players start at the same time but from different holes. 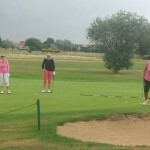 There was a competition for the ladies at every hole. 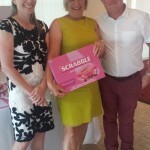 TSP sponsored 12 of them and Julia provided the prizes for the remaining 6 holes. 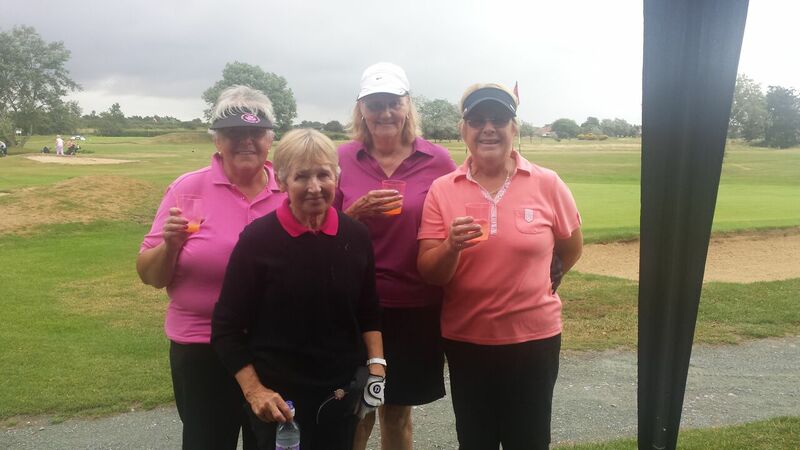 TSP’s Chief Operating Officer, Sean Stuttaford, and Julia’s husband, Peter Hewett, both Clacton Golf Club Members, served the ladies wine via a golf buggy, and Julia and her daughter, Jessica, served refreshments at the second hole. 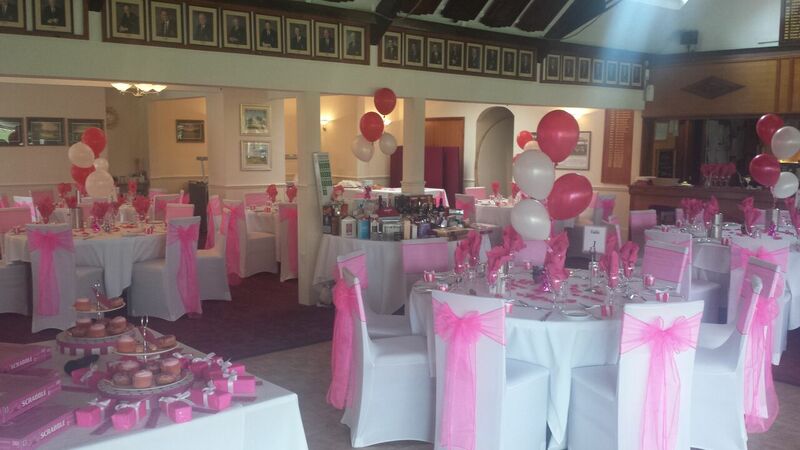 After the ladies had finished their round of golf they got ready for the evening festivities. 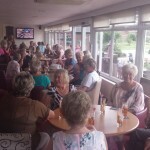 Family and friends of Julia and the lady golfers joined them for an evening of food and dancing. 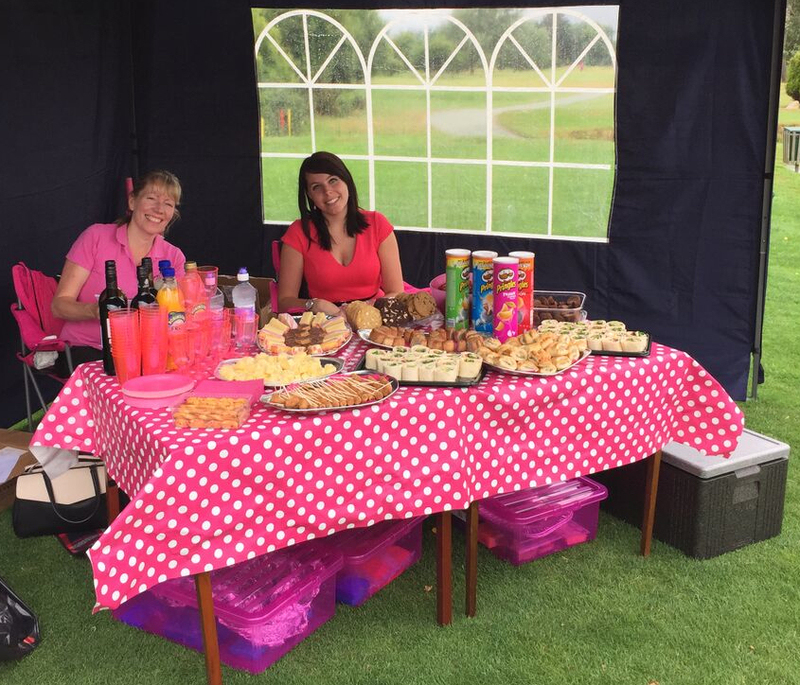 Guests were treated to Pimms on arrival in the club’s pink-themed restaurant (Julia’s team colour and also her favourite!) before enjoying a cold meat and seafood buffet whilst a pianist played lounge music. 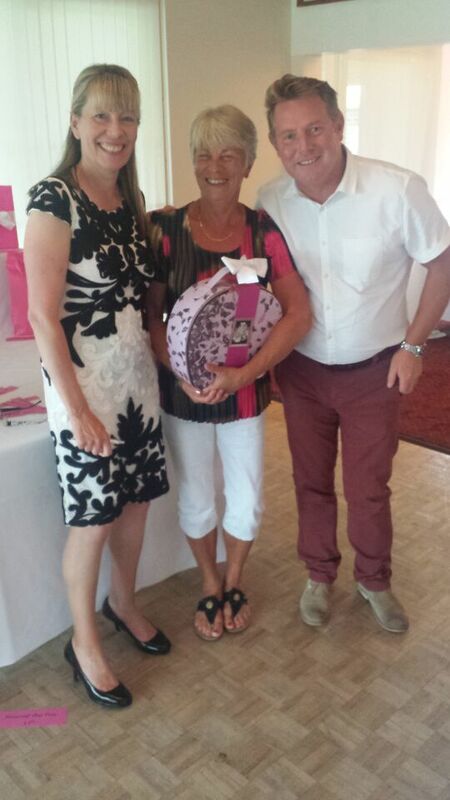 After the meal, Julia gave a speech and presented the prizes with some help from TSP C.O.O. 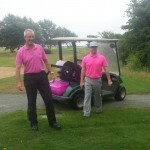 Sean Stuttaford and the Club Captain, Steve Parkes. Following the presentations, singer Danny Litchfield provided the entertainment for the evening. 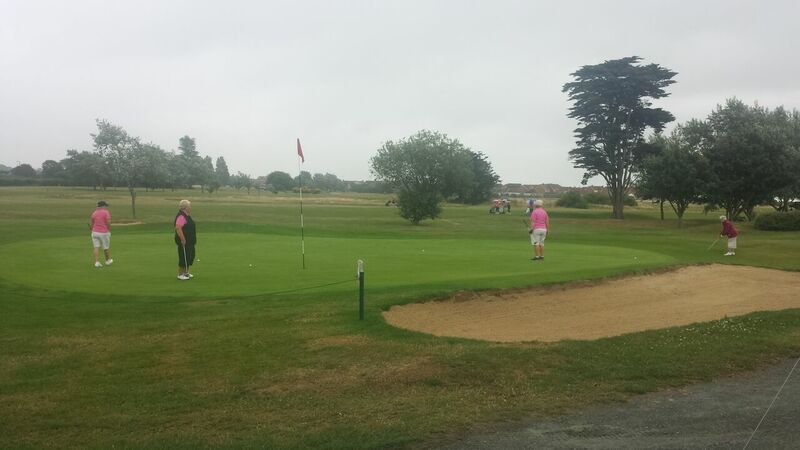 As we said at the beginning, this was a charity golf day. At the start of her tenure as Lady Captain Julia chose Sense as the charity that she would support during her year as Lady Captain. 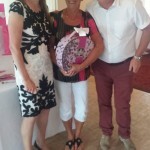 Julia held a raffle, with prizes donated by golf club members and also held an auction for a number of Four Ball Golf Vouchers which were very kindly donated by various golf clubs across Essex, and also a signed Essex Cricket shirt which was kindly donated by Oakpark Security. 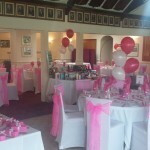 In total Julia managed to raise the amazing sum of £1,000.00. SENSE: Sense is a national charity that supports and campaigns for children and adults who are deafblind or have sensory impairments. Deafblindness refers to a combination of sight and hearing impairment which causes difficulties in a range of areas including communication, access to information and mobility. 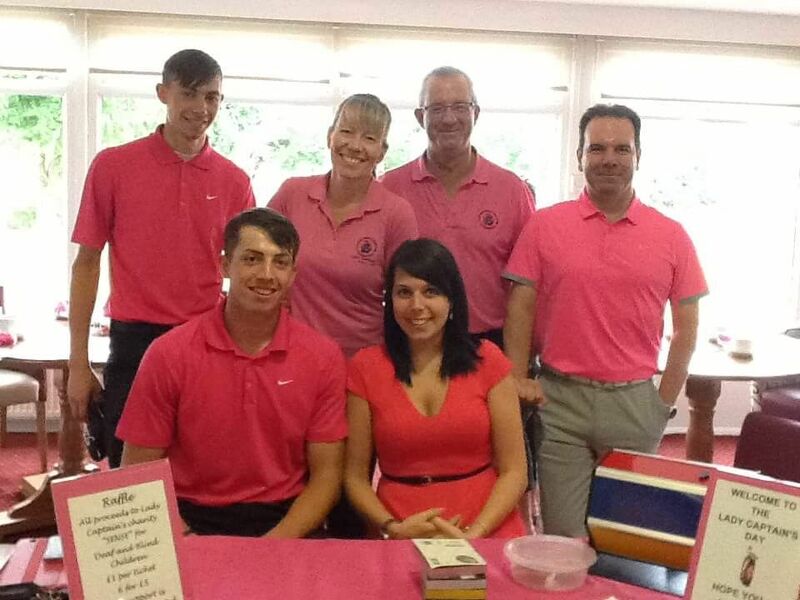 Sense offers high-quality, flexible services across the UK, using skilled staff and a dedicated network of volunteers. They work with a wide range of people who are deafblind or have sensory impairments, as well as those who have a single-sensory impairment with additional needs. They have skills in complex communication, orientation and managing challenging behaviour. Sense offers services built around the wishes of each person they support and enable them to be as independent as possible. They have a range of direct services from respite and flexible packages of support through to registered care and supported living. 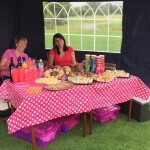 They work with children, young people, adults and older people with a progressive sight and hearing loss, offering a range of housing, educational and leisure opportunities. Sense supports people of all ages to achieve remarkable things. 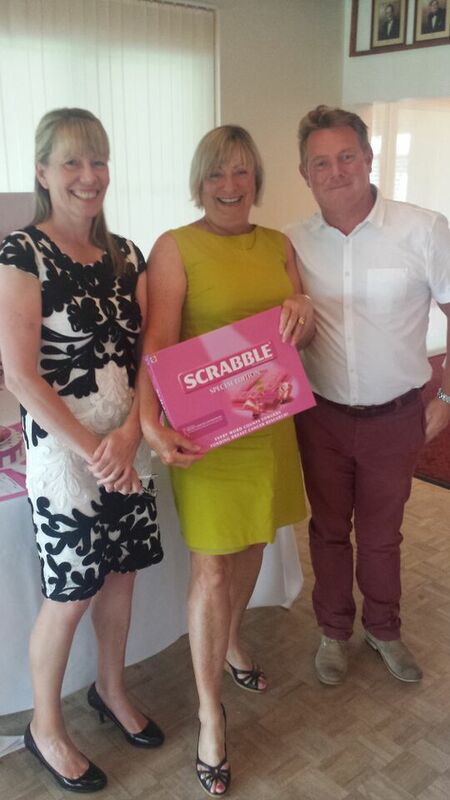 Julia Hewett and Steve Parkes presenting Denise Pink with her prize of pink Scrabble! 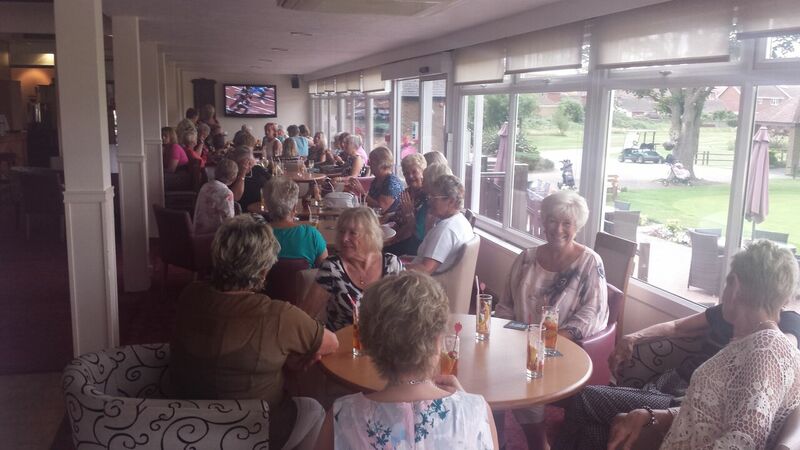 The ladies enjoying their Pimms before the evening festivities! 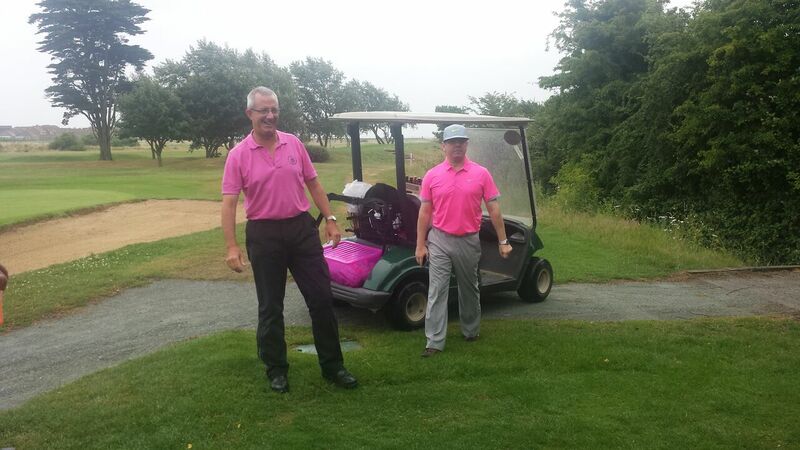 Peter Hewett and Sean Stuttaford arriving with wine in the buggy!